New Waterfront Listing on Greenwood Creek. Waterfront home w/540' of shoreline on Greenwood Creek. 3' MLW. Pier w/slip. Spacious home w/5 bedrooms & 3 full baths. Living rm, family rm & a 2nd family rm make this a great home for entertaining or relaxing! Master is an owners retreat w/sumptuous bath, walk-in closet & private owners porch. 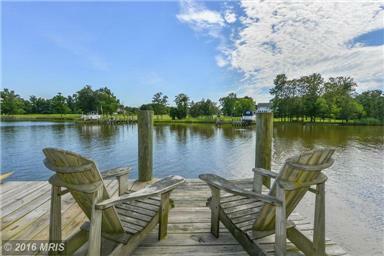 Screened porch, patio, lush landscaping on 5.5 acres & privacy on protected waters. Horses welcome.